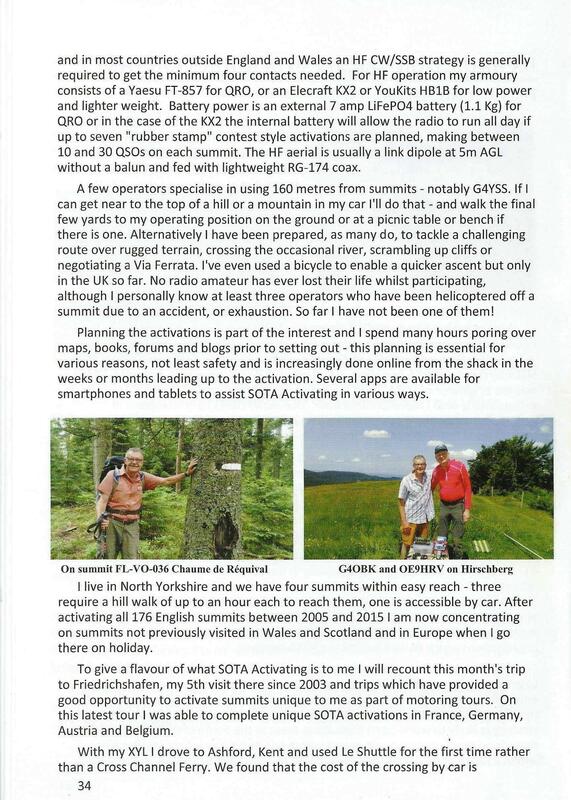 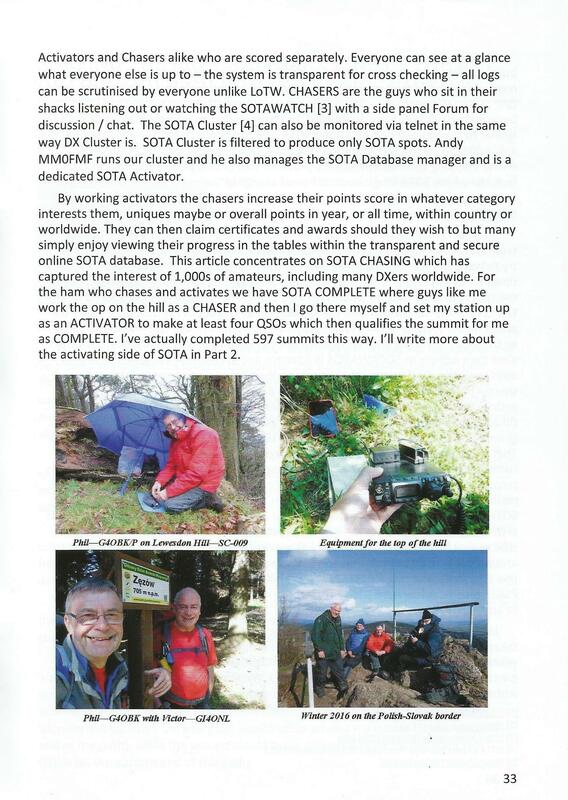 This year I have written two articles on SOTA, one from a Chaser’s perspective and one from an Activator’s perspective. 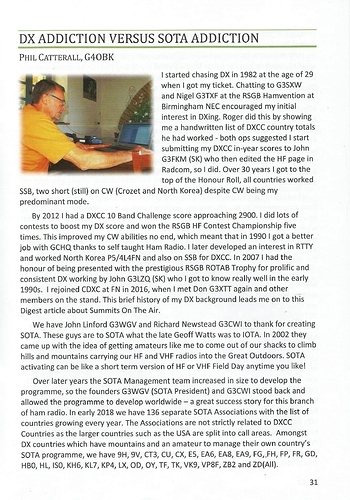 The articles were published in the March and July editions of the Chiltern DX Club Digest magazine. 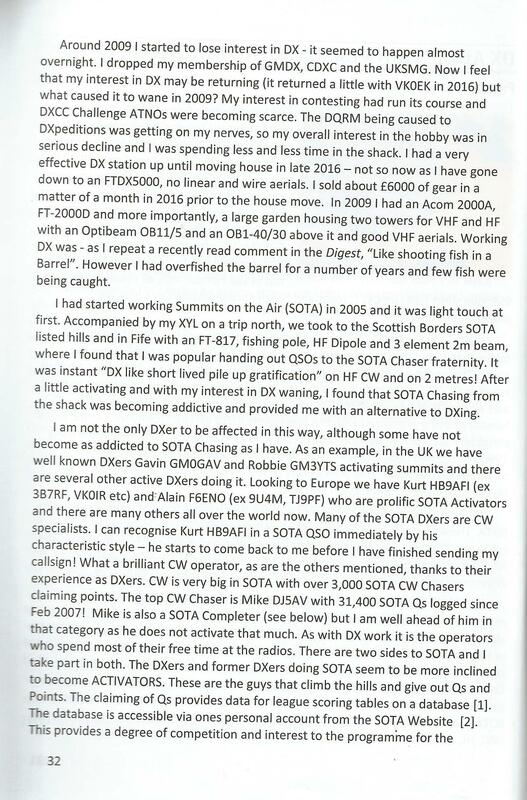 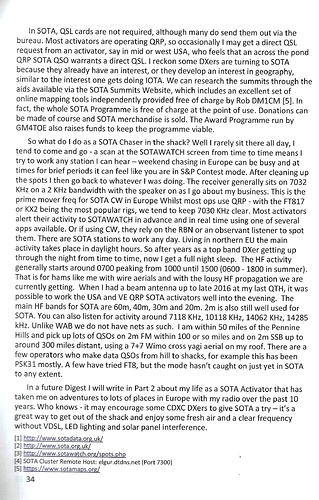 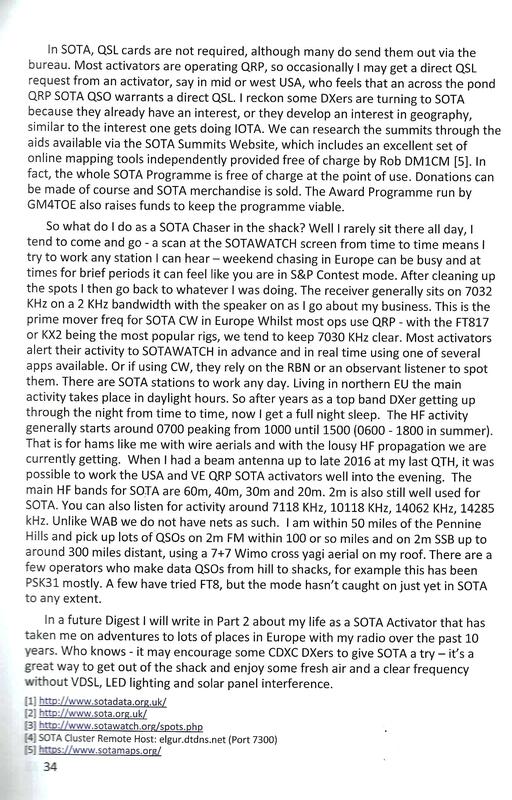 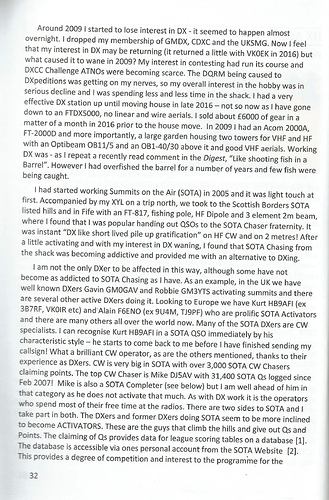 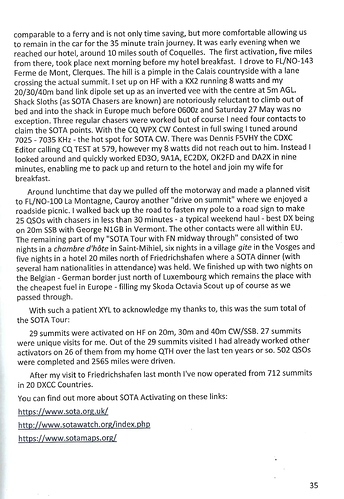 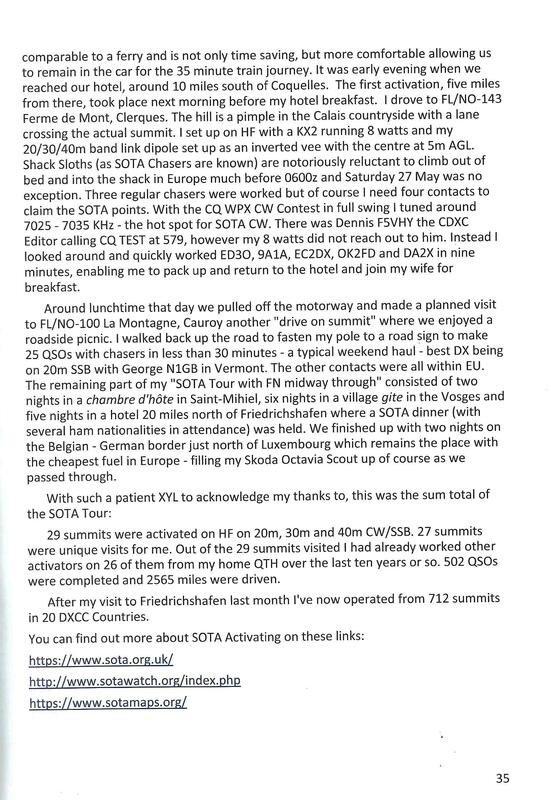 The articles were written in an effort to encourage DXers to look closely at SOTA with a view to becoming involved themselves - like I and other DX types have done. 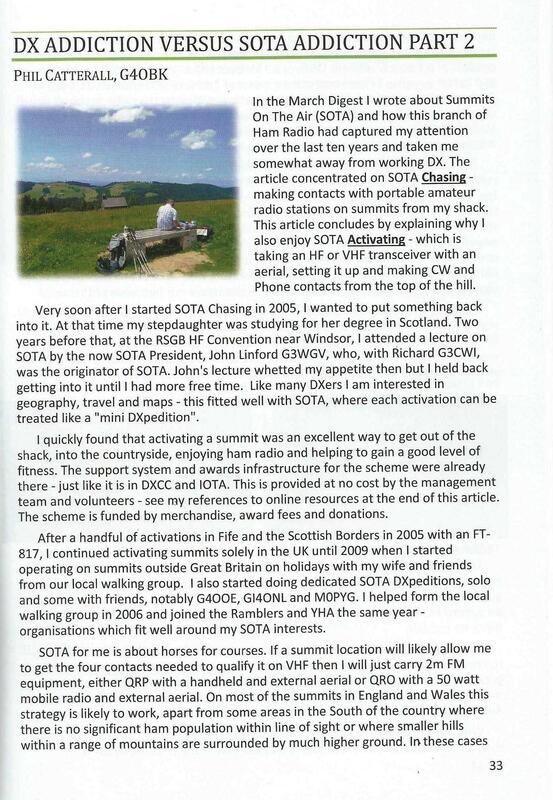 As both articles and photographs are copyright to me as well as being published in the Digest Magazine they are published here for you to read on the SOTA Reflector. 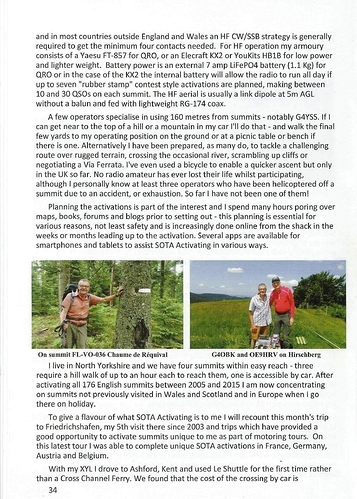 They must not be reproduced or copied elswhere without my permission.